Polish violinist and conductor Andrzej Grabiec, prizewinner at the Fifth International Henryk Wieniawski Violin Competition in Poland (1967) and the International Jacques Thibaud Violin Competition in Paris, France (1969), has performed as a soloist in symphonic concerts and recitals in the United States, Canada, Mexico, Australia, New Caledonia, Vanuatu, Denmark, Belgium, Great Britain, Germany, France, Switzerland, Italy, Luxembourg, Spain, Austria, Czechoslovakia, Rumania, Hungary, Bulgaria, Yugoslavia, former Soviet Union, and Poland. Mr. Grabiec has performed under conductors Pierre Boulez, Erich Leinsdorf, Krzysztof Penderecki, Witold Lutoslawski, Jerzy Semkow, Kazimierz Kord, Mark Elder, Erich Bergel. An honored graduate and later professor of the Szymanowski Academy of Music in Katowice, Poland in 1972, Maestro Grabiec immediately became Soloist and Concertmaster of the Polish National Radio and Television Symphony Orchestra and leader of Capella per Musica da Camera, where he released recordings of solo and chamber music. As the founding member of the Polish Radio Piano Trio, he captured first prize at the Tenth International Competition for Chamber Music Ensembles in Colmar, France. To this day Maestro Grabiec is the youngest ever to hold a Concertmaster position in a Polish orchestra of this caliber. Maestro Grabiec immigrated to the United States in 1979, with a successful recital debut in 1984. 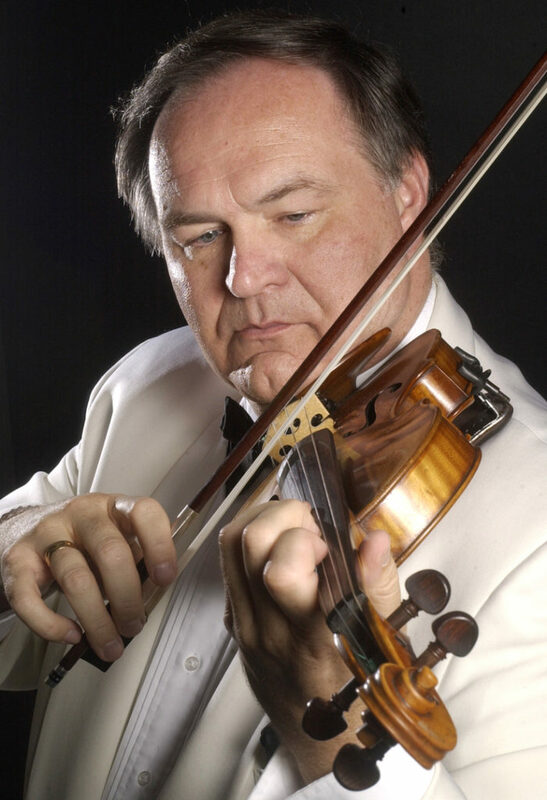 He has entertained a prolific career, including positions as Concertmaster of the Pueblo Symphony Orchestra and Music Director of the Mozart Festival Chamber Orchestra, Concertmaster of the Wichita Symphony Orchestra in Kansas, Rochester Philharmonic Orchestra in Rochester, New York, and the Eastern Philharmonic Orchestra at Eastern Music Festival in Greensboro, North Carolina. Mr. Grabiec was the Music Director of the Society for Chamber Music in Rochester, a founding member of the Trio NOVA, and a founding member , Concertmaster, and soloist of the American Sinfonietta (1996). Invited by the Government of Australia, Maestro Grabiec became Artistic Director of an extensive Olympic Arts Tour throughout Australia, New Zealand, and the South Pacific islands as a soloist and conductor (1999). Since moving to Houston (1995), Maestro Grabiec became Professor of Violin at the Moores School of Music at the University of Houston, and joined the Western Arts Trio. He performed solo with the Houston Symphony (1999), in the presence of former President George Bush and other political leaders from the United States, Germany, and Canada. Mr. Grabiec is a founder, conductor and Artistic Co-Director of the Virtuosi of Houston, a 50-piece orchestra comprised of some of the most outstanding young musicians in Houston. In 2002 Mr. Grabiec presented the world premiere of the Concerto for Violin and Orchestra by American composer Peter Lieuwen at the University of Houston with the Moores Symphony Orchestra, Franz Anton Krager conducting. A CD was released under the Albany Records label of this recording in 2003. Recordings of Mr. Grabiec include the Mendelssohn Violin Concerto with the American Sinfonietta, released on the Summit Records label, Chopin Piano Trio and Chopin’s violin-piano transcriptions released in Poland by Vifon label, a recording of Piano Trio by Houston composer Michael Horvit, and a unique recording of Strauss’ “Don Quixote”, arranged for septet by cellist Laszlo Varg, as well as Vifon and Natural Soundfields labels. Mr. Grabiec has taught and performed at many summer festivals: the InterHarmony International Music Festival in Germany, Italy, and The Netherlands; Sarasota Music Festival in Florida; Texas Music Festival; International Summer Academy “ARIA”; Intensive String Quartet Workshop in New York; Colorado Music Fest in Colorado; Wintergreen Summer Music Festival in Virginia; Bellingham Festival of Music in Washington; Musicfest in Wales, and was Concertmaster of the Eastern Philharmonic Orchestras at the Eastern Music Festival in North Carolina. He has been invited to direct Master Classes in the USA, Canada, UK, Austria and Poland.